Floyd Bennett Field contains one of the only remaining grassland habitats within New York City. The list of birds that have been observed there contain many of the state and federal "Endangered", "Threatened" and "Special Concern" species. During the fall migration it is one of the few places around the city where birdwatchers might find one of North America's "grasspiper" species. "Grasspipers" are shorebirds (or sandpipers) who tend to prefer foraging within grassy habitats. 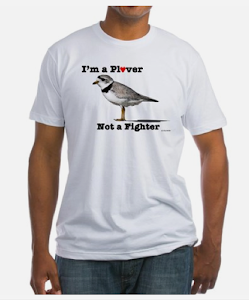 I haven't been able to locate an "expert" opinion on which species are absolutely grasspipers, but I created the following list based on "Sibley's Guide to Birds": Northern Lapwing, Black-bellied Plover, American Golden-Plover (European and Pacific), Mountain Plover, Killdeer, Upland Sandpiper, Bristle-thighed Curlew, Long-billed Curlew and Buff-breasted Sandpiper. 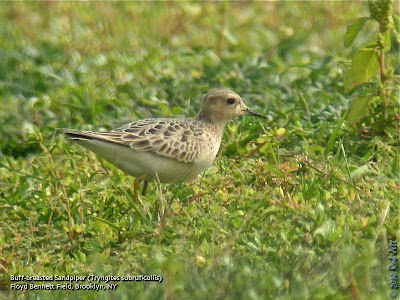 Kenn Kaufman also describes the Pectoral Sandpiper as being a sometimes "grasspiper". Within the last few weeks the number of migrating Killdeer at Floyd Bennett Field has steadily increased. These very vocal birds can be found foraging within the small fields that border the parking lots near Aviator Sports. Over the course of a couple of weeks a single Buff-breasted Sandpiper was spotted hanging around with a flock of Killdeer on a tiny, sandy field next to the artificial turf soccer fields. I rode my bike over early one morning to look for this rare bird, but was unsuccessful. Heydi went back a few days later and it had returned, so I decided to try again. I went back the following weekend with Paige. The Buff-breasted Sandpipers were still hanging around with the Killdeer on that tiny field. We also checked the community garden, looking for migrating sparrows and a Dickcissel that had been reported. Unfortunately, the gardens were very quiet and we ended up spending more time identifying vegetables than birds. Sunday, October 3, 2010 10 - 5 p.m. 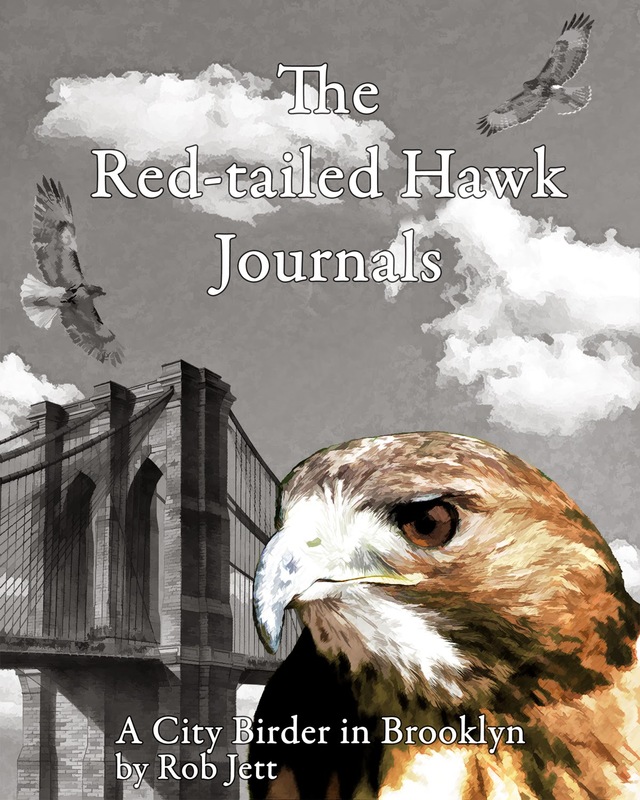 Learn about the resident raptors of Prospect Park. There are plenty of indoor activities if it rains! Sunday, October 3, 2010 8 a.m. Registration opens Monday 9/20. Public transportation. Meet at Van Cortland Nature Center. The history of birding and Van Cortlandt Park are inseparable. Influential birders such as Roger Tory Peterson and Allan D. Cruickshank got their starts on Van Cortlandt’s ecologically diverse grounds. These walks celebrate the tradition set forth by these great ornithologists. Participants will look for various species of migrants and discuss a wide range of avian topics. For more information, please call 718-548-0912. No registration necessary. No limit. Free. Who, Whoo, Whooo...Did I Eat? Discover what owls eat as we dissect owl pellets. I took a break from blogging for a little while and will try to bring you up to date in the next couple of postings. Blue-winged Warbler, Nashville Warbler, Northern Parula, Yellow Warbler Chestnut-sided Warbler Magnolia Warbler, Black-throated Blue Warbler, Yellow-rumped Warbler Black-throated Green Warbler, Blackburnian Warbler, Pine Warbler Prairie Warbler Blackpoll Warbler, Black-and-white Warbler, American Redstart, Ovenbird, Northern Waterthrush, Common Yellowthroat, Wilson's Warbler and Canada Warbler. That's nearly as high a diversity of birds as during a busy Spring migration. 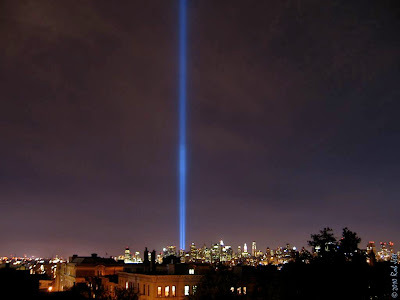 It is this concentration of night migrating birds that had conservation organizations, such as New York City Audubon Society, concerned about the 911 Tribute in Light memorial (above is a photo taken from my roof in Brooklyn). During their night flight birds are drawn to the bright column of light, unable to navigate out of it. Employees of NYCAS monitor the lights for signs of birds within the light. Wired Science published this article about a flock of 10,000 birds that became disoriented and trapped in the lights. Migrating sparrows and raptors hadn't yet made a big push through the area, but warblers were seen in very good numbers. Magnolia Warblers seemed to be the most abundant species with American Redstarts coming in a close second. Other warblers observed in good numbers were Blackpoll Warbler, Black-and-white Warbler, Ovenbird and Common Yellowthroat. Ruby-throated Hummingbirds were making their final push south and a nice mix of swallow species were seen swooping back and forth over Prospect Lake, snatching up insects. Another nice sighting was that of a Philadelphia Vireo. This scarce species is very similar in markings to the Tennessee Warbler, but among other features, the bills are structurally very different. Here is a photo comparison from the Powermill Bird Banding Station. One bird that has popped up a few time in Prospect Park over this period has been the Yellow-breasted Chat. Unfortunately, it was never when I was around. Chats are usually skulking birds that show themselves when THEY want. I've never said to myself, "I think I'll go look for a chat today" and actually found one. There is still a chance that I can locate one this year as they are half-hardy songbirds that sometimes hang around until very late in the year. I won't hold my breath, though. Greetings. This is the New York Rare Bird Alert for Friday, September 24th 2010 at 7pm. The highlights of today's tape are YELLOW RAIL, WESTERN KINGBIRD, MANX SHEARWATER, other Fall migrants and some great pelagics. Firstly, my deepest thanks to Tony Lauro for covering the RBA for the last 2 months. Another week with a nice variety of overall migrants has been spoiled somewhat by this warm weather but another cold front is on its way. The biggest surprise of the past week was a YELLOW RAIL spotted along a causeway entrance to Iona Island in Rockland County. Within just a few feet from the observers car the rail walked into the vegetation and disappeared. Also seen only for short durations were 3 WESTERN KINGBIRDS on Long Island last Saturday. One was present at the South Fork Natural History Museum in Bridgehampton keeping company with a nice variety of birds while a second was at a more traditional site at the Deep Hollow Dude Ranch just east of the town of Montauk. Neither of these could be relocated on Sunday but on Monday another WESTERN KINGBIRD appeared briefly around the hawkwatch platform at the eastern end of Robert Moses State Park. Pelagic birds from shore have been scarce lately but a MANX SHEARWATER was seen off Robert Moses State Park field 2 last Saturday. However, 2 boat trips early in September featured some great New York birds. Pelagics from Rhode Island to the Block Canyon area on the 10th recorded both a BLACK-CAPPED PETREL and a BAND-RUMPED STORM-PETREL while a fishing boat from Montauk on the 11th at the same area encountered a WHITE-FACED STORM-PETREL plus RED PHALAROPE and RED-NECKED PHALAROPE along with AUDUBON'S SHEARWATERS. BUFF-BREASTED SANDPIPERS continued a good showing this Fall. Of the 4 present late last week on the field around the Aviator's Building at Floyd Bennett Field, 3 were still there on Sunday. Also there on Sunday was a CLAY-COLORED SPARROW at the community garden, a good place to look for sparrows and other odd landbirds. Another BUFF-BREASTED SANDPIPER offered great views Saturday to Monday along the eastern exit road to Jones Beach West End field 2 and another CLAY-COLORED SPARROW was at the volleyball courts east of Robert Moses State Park field 2 today. Good flight conditions early in the week brought a decent selection of landbirds to many city parks. Highlights from Central Park included YELLOW-BREASTED CHAT and HOODED WARBLER Wednesday among a seasonally representative number of warblers. Even Bryant Park in central Manhattan enjoyed a nice run of migrants with Tuesday producing 9 species of warblers and LINCOLN'S SPARROW, the latter now rather widespread throughout our area. 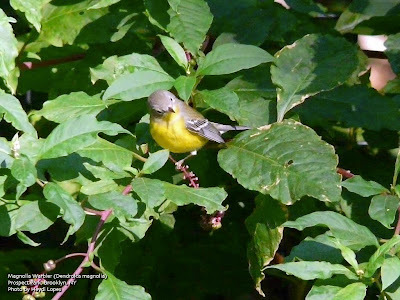 A PHILADELPHIA VIREO was present again in Alley Pond Park on Thursday and last Saturday 2 DICKCISSELS were found in the rock piles at Hempstead Town Park at Point Lookout. Five AMERICAN GOLDEN-PLOVERS were in a parking lot puddle at Heckscher State Park today. Among the migrants at Sunken Meadow State Park have been some flocks of PURPLE FINCHES, a YELLOW-BILLED CUCKOO Sunday and an arriving WHITE-CROWNED SPARROW Thursday. Farther east on Long Island there were 10 CASPIAN TERNS, WHIMBREL, WHITE-RUMPED SANDPIPER and a LESSER BLACK-BACKED GULL Saturday and 2 LESSER BLACK-BACKED GULLS Sunday at Sagg Pond in Bridgehampton while Mecox produced 4 more CASPIAN TERNS and a flyby group of 4 MARBLED GODWITS. Nine ROYAL TERNS were also around the Ponquogue Bridge at Shinnecock Saturday. Highlights at Marshlands Conservancy in Rye last Sunday featured DICKCISSEL and MOURNING WARBLER. The past week was a productive one for local hawkwatches with a BROAD-WINGED HAWK flight fairly widespread this year brought some good kettles over inland sights usually with accompanying BALD EAGLES. Sites to visit though October and into November include Hook Mountain in Rockland County, the Quaker Ridge Hawkwatch at the Greenwich Audubon Center in northwestern Greenwich, the Chestnut Ridge Hawkwatch at the Butler Sanctuary in Mount Kisco and Mount Peter in Orange County. Of course, if you really want to see falcons especially visit the Fire Island site at the eastern end of the roadway at Robert Moses State Park. I may have taken a week hiatus from blogging, but I was still doing my usual exploring around the 5 boroughs. Over the last 10 days I've noticed more Common Buckeyes than I've ever seen. One late-morning at Fort Tilden we spotted a Butterfly Bush virtually covered with these small butterflies. I guess they've had a good year. This photo was taken in front of the DeWitt Clinton monument in Green-Wood Cemetery. Marge tells stories of a massive Snapping Turtle living in the Crescent Water of Green-Wood Cemetery. She named the beast "Godzilla". I've only caught brief glimpses of this legendary monster and never experienced the full impact of his or her enormous size. 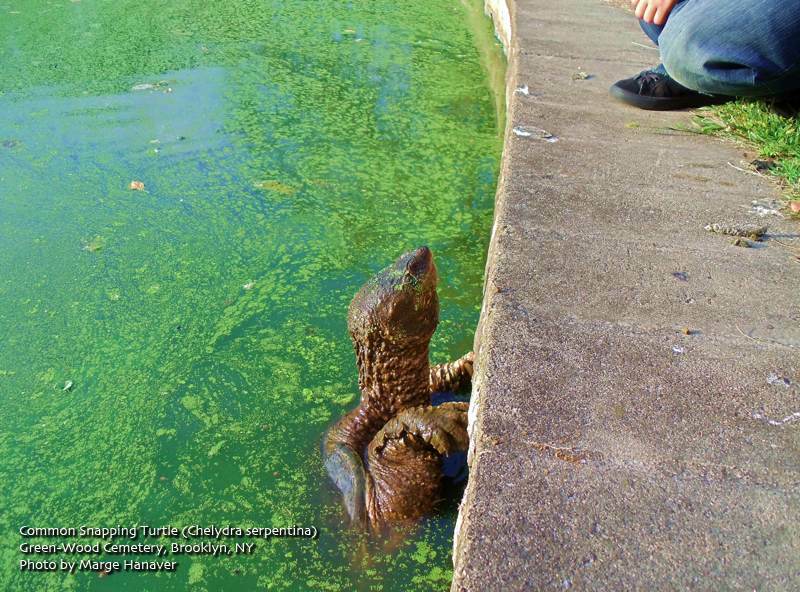 The other day Marge and her son, Jean-Luc, spotted the giant reptile at the edge of the pond and snapped these photos. It looked as if Godzilla was preparing to drag Jean-Luc, kicking and screaming, into the depths of Crescent Water. Thankfully, Marge and Jean-Luc survived the encounter. Every Saturday at 11 a.m. throughout most of the year, a few dozen people gather at the Reflecting Pool in the Leon Levy Visitor Center with binoculars and high hopes. They’ve come to go on a walk in search of the birds that live at the Botanical Garden either year-round or temporarily during migration periods. The tour leader, Debbie Becker, who this season marks her 25th year conducting bird walks at the Garden, knows all the nooks and crannies, and all the favorite spots of many of the 200-plus species that have been recorded in the Garden over the years. 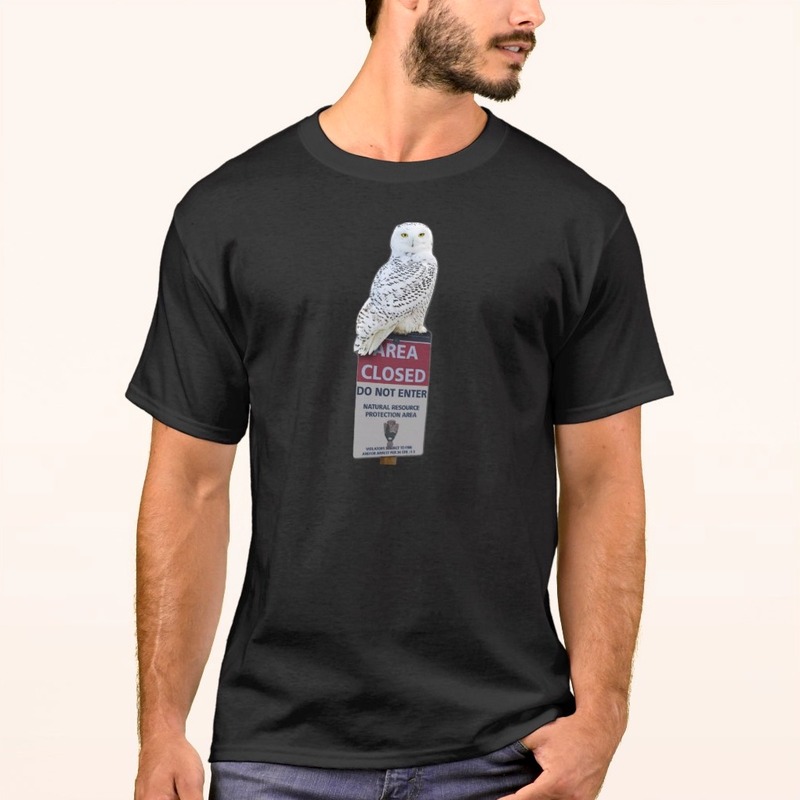 In other words, if someone wants to see a particular bird—say, the resident great horned owls or the aberrant white-winged crossbills—Debbie can deliver. Read more. Join us a for a 3-hour narrated cruise along the backwater marshes of Jamaica Bay aboard the 2-deck boat the Golden Sunshine out of Pier 2, Sheepshead Bay. Cost: $45 includes guides, wine & cheese, fruit, drink, snacks. Leaders: Mickey Cohen, Don Riepe. 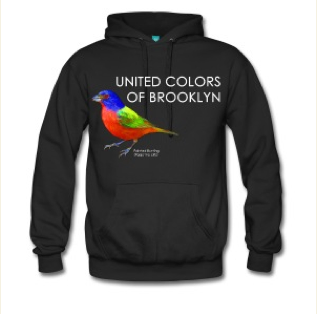 To reserve send check to American Littoral Society, 28 West 9th Road, Broad Channel, NY 11693. For more information, call (718) 318-9344. E-mail: driepe [AT] nyc.rr.com. Guide: Andrew Baksh or Urban Park Rangers, with the Van Cortlandt Park Conservancy and NYC Department of Parks and Recreation, Urban Park Rangers Meet at Van Cortland Nature Center. The history of birding and Van Cortlandt Park are inseparable. Influential birders such as Roger Tory Peterson and Allan D. Cruickshank got their starts on Van Cortlandt’s ecologically diverse grounds. These walks celebrate the tradition set forth by these great ornithologists. Participants will look for various species of migrants and discuss a wide range of avian topics. For more information, please call 718-548-0912. No registration necessary. No limit. Free. Meet in the NYC fishing pier parking lot opposite the intersection of Hylan Blvd. and Sharrott Avenue to take part in the International Coastal Cleanup. We will collect, separate, and record trash from the beach (and enjoy the view on the Raritan Bay!). Data from this clean-up will be used to monitor the cleanliness of the beaches and the health of our shoreline waters. Gloves and collection materials will be provided by the American Littoral Society with funding by the New York Environmental Fund, and Protectors will bring refreshments. This will be the sixth consecutive year that we have participated in removing hundreds of pounds of trash from our beach! For more information contact Dominick Durso at (718) 967-0379 or Chuck Perry at (718) 667-1393. Saturday, September 25, 3 p.m. to 5 p.m.
Past and present blend in the Conference House Park where history stretches back thousands of years with seasonal occupation of the Lenape and hundreds of years with the inhabitation of the Dutch and English. In addition to the local history we’ll observe the geology of the area and look for what the debris at the high tide line has to reveal. As the tide goes out we’ll move into the intertidal zone to find out what sort of living things survive in this challenging environment. It’s going to be muddy so dress appropriately. Meet at the parking lot at the end of Hylan Blvd. on the left. Sunday, September 26, 10 a.m. to 1 p.m.
Join on our annual 6 mile walk to Crooke’s Point and count monarch butterflies feeding on the seaside goldenrod and asters. It is near this date in 1971, that Arthur Shapiro counted tens of thousands of Monarchs and other butterflies at this very beach. Bring lunch and beverage for the day and feel free to come and go as you please. We will lunch sitting along the sandy beach looking out on Great Kills Harbor, Sandy Hook and NY Lower Bay. Meet at the main entrance at Buffalo Street and Hylan Blvd. As summer turns to fall, the monarch butterfly embarks on an incredible journey south to Mexico. Keep an eye out for the birds that fly south every autumn in preparation for the upcoming winter. Discover the fascinating world of these furry little creatures as we walk through our park. Greetings. This is the New York Rare Bird Alert for Friday, September 10th, 2010 at 11 pm. The highlights of this week's tape are AMERICAN WHITE PELICAN, LEAST BITTERN, AMERICAN GOLDEN-PLOVERS, WHIMBREL, MARBLED GODWIT, HUDSONIAN GODWIT, BAIRD'S SANDPIPER, BUFF-BREASTED SANDPIPER, WILSON'S PHALAROPE, WESTERN KINGBIRD, YELLOW-THROATED WARBLER, CLAY-COLORED SPARROW, LARK SPARROW, DICKCISSEL, and BLUE GROSBEAK. The long-staying AMERICAN WHITE PELICAN is still present at the East Pond of Jamaica Bay Wildlife Refuge. WHIMBRELS reported last week were: one at Montauk last Saturday; one east of the Ponquogue Bridge in Shinnecock last Saturday; two on the ocean at Robert Moses State Park on Sunday. A WILSON'S PHALAROPE was at Jamaica Bay East Pond on Saturday, Sunday and Monday, along with a LONG-BILLED DOWITCHER and 20 WHITE-RUMPED SANDPIPERS. A CLAY-COLORED SPARROW, was found at the hawk watch area near field 5 at Robert Moses State Park, Fire Island, on Monday. A LARK SPARROW was found at the westernmost turnaround area, near the dumpsters, at Robert Moses State Park, Fire Island, from Saturday through Tuesday. A WESTERN KINGBIRD was located today at the westernmost parking lot at Sunken Meadow State Park on the north shore of Long Island. A YELLOW-THROATED WARBLER and 17 species of warblers, highlighted by BLACKBURNIAN WARBLER, BAY-BREASTED WARBLER, and WILSON'S WARBLER, were found today at Sunken Meadow State Park. Nineteen warbler species were found at the this location on Thursday. A DICKCISSEL, along with an immature RED-HEADED WOODPECKER, BOBOLINKS, and PURPLE FINCH, were seen at Robert Moses State Park on Fire Island on Sunday. A BLUE GROSBEAK, along with two CLIFF SWALLOWS, CEDAR WAXWINGS, BOBOLINKS, YELLOW-BELLIED FLYCATCHER, and an adult LESSER BLACK-BACKED GULL were seen Thursday at Fire Island. At Central Park today [with updates from the Transcriber]: Another PHILADELPHIA VIREO and 16 species of warbler including YELLOW-BREASTED CHAT, MOURNING WARBLER, TENNESSEE WARBLER. The CHAT was reported near the Ravine in the N End, as well as in the maintenance field early this morning (Friday). Also seen at least three days this week including today was a YELLOW-BILLED CUCKOO in the Ramble. Four COMMON EIDERS and nine BLACK TERNS at Montauk last Saturday. To phone in reports, please call Tony Lauro at (631) 734-4126. Messages may be left with Tom Burke at (212) 372-1483. This service is sponsored by the Linnaean Society of New York and the National Audubon Society. Thank you for calling. Floyd Bennett Field's managed grasslands are a perfect location for finding the beautiful American Kestrel. 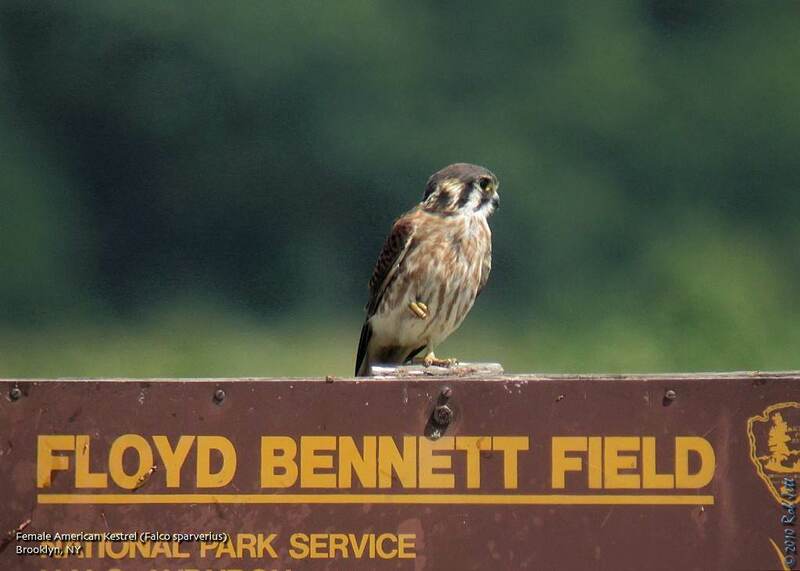 NPS signs posted around the field's perimeter are a convenient perch for these small falcons. I've been hoping to capture this image for a long time. I watched this female hovering above the grass, diving down to capture prey, then returning to the sign to dine on juicy crickets. Last Saturday I lead a birding trip in Prospect Park for the Linnaean Society of New York. The weather was perfect for spending the day outside, but the migrant songbird showing in the park was a fraction of the previous weekend's numbers in both species diversity and abundance. Seven people joined me for a fall migration walk in the park and, while there were some nice birds to see, there weren't any unusual sightings to report. I chose a route that began at the north end of the park, traveled through the woods and ended at Prospect Lake in the south. Throughout the morning it became clear that, rather than overnight Northwest winds carrying new birds into the park, it instead motivated the individuals that had been present for the previous week to take flight and continue their journey south. Several reports on the New York State birding discussion forums indicated that most of the city's birdwatching hotspots had experienced similar declines. By noon we had only tallied 8 species of warbler and a total of 41 species of birds. The previous weekend Heydi, Keir and I had observed 15 species of warbler and a total of 58 species of birds. One unexpected highlight was of a Yellow-billed Cuckoo in the Peninsula Woods. This shy species is not related to the European cuckoo and is more often heard than seen. 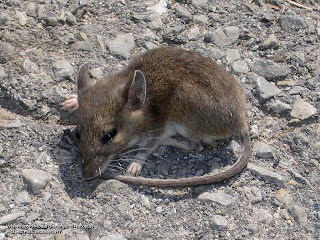 "...The smaller rodent species are very rarely carriers of rabies, so I doubt that was the issue. It was probably something gotten from raccoons. 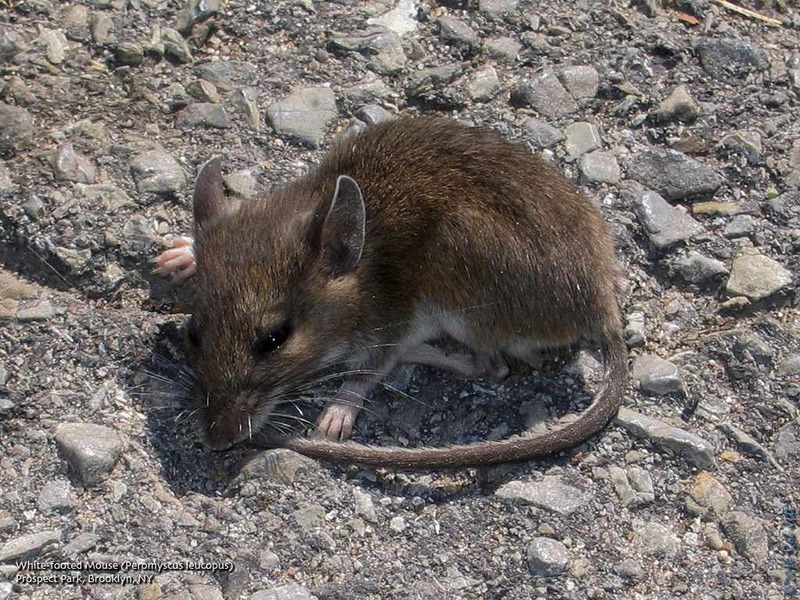 Either roundworm, like the groundhog from contact with their feces, or another ailment called leptospirosis from their urine. Both can cause the neurological symptom you described and are most often fatal." 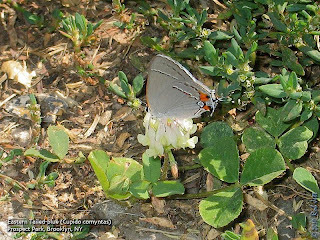 Gusty winds kept most of the butterfly activity to a minimum, but I did spot this Eastern Tailed-Blue Gray Hairstreak hanging on to a single white clover flower at the edge of the Peninsula Meadow. Guide: Andrew Baksh or Urban Park Rangers **Please note time change to 8am*** With the Van Cortlandt Park Conservancy and NYC Department of Parks and Recreation, Urban Park Rangers Meet at Van Cortland Nature Center. The history of birding and Van Cortlandt Park are inseparable. Influential birders such as Roger Tory Peterson and Allan D. Cruickshank got their starts on Van Cortlandt’s ecologically diverse grounds. These walks celebrate the tradition set forth by these great ornithologists. Participants will look for various species of migrants and discuss a wide range of avian topics. 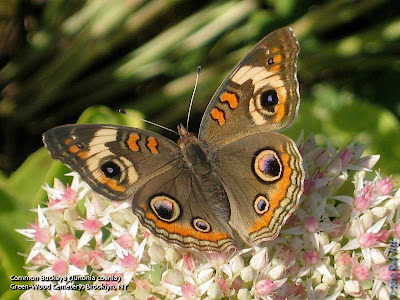 Explore Wave Hill’s woodlands and gardens and discover the world of insects, flowers, trees, birds and their fascinating habitats on this naturalist-led walk, offered jointly by Wave Hill and NYC Audubon. Ideal for ages 5 and up and their curious adult companions. Rain or shine, so dress for the weather! Space is limited; advanced registration recommended, online at www.wavehill.org, at the Perkins Visitor Center when you next visit or by calling 718.549.3200 x305. Fee: Free for Wave Hill Members/Non-members $5. 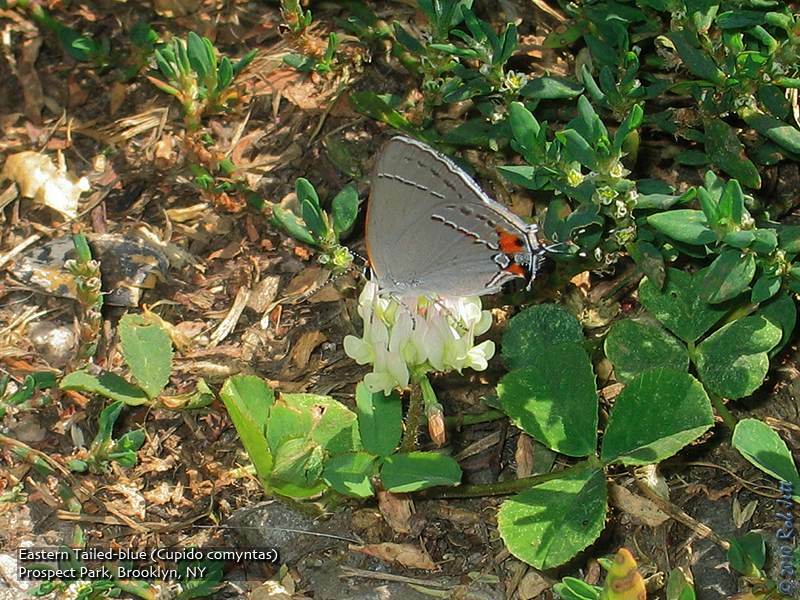 Free for NYC Audubon Members with 2-for-1 admission to the grounds. Sunday, September 12, 1 p.m. to 3 p.m.
Join naturalist Sandra Mechanic on a delightful walk through the Latourette woods. Admire the Frank Lloyd Wright house along the way and see an American Larch or Tamarack, a rare conifer that sheds its needles annually. Look at the DEP label on the street corner grating saying “no dumping, leads to Blue Belt”. The trail passes through a large forest of mixed age Tulip Trees as it winds down to Meisner Pond. Park near the end of Old Mill Road, near St. Andrews Church, off Arthur Kill Road. 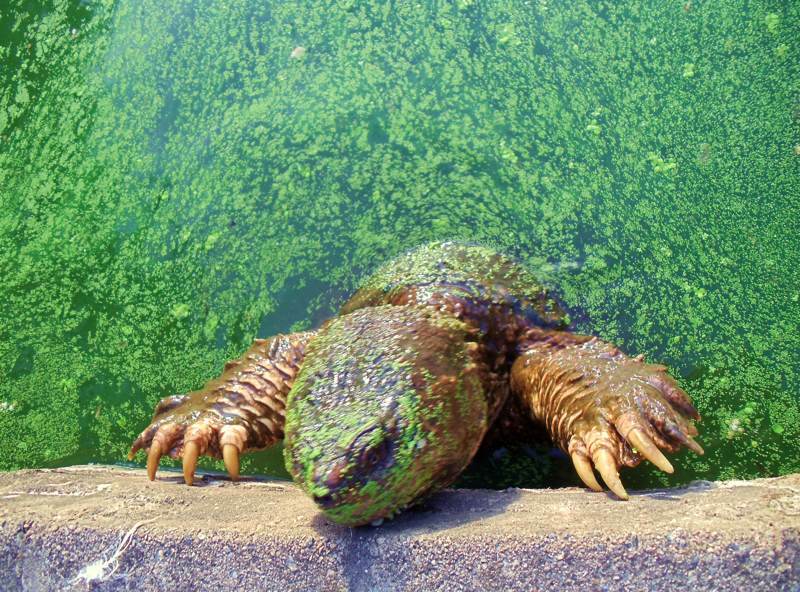 Discover the green giants who live in Fort Totten Park. Greetings. This is the New York Rare Bird Alert for Friday, September 3rd 2010 at 11:45pm. The highlights of today's tape are AMERICAN WHITE PELICAN, AMERICAN GOLDEN-PLOVER, AMERICAN AVOCET, WHIMBREL, MARBLED GODWIT, BAIRD'S SANDPIPER, BUFF-BREASTED SANDPIPER, WILSON'S PHALAROPE and GLAUCOUS GULL. The AMERICAN WHITE PELICAN was still present through Thursday at the East Pond at Jamaica Bay. 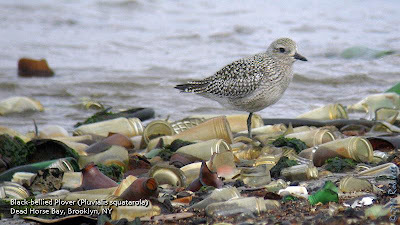 AMERICAN GOLDEN-PLOVERS were reported last week with 2 birds seen at the sod fields on Osborne Avenue and Sound Avenue in Riverhead on Thursday and Friday and a single bird was seen at Jamaica Bay at the Terrapin Trail on Thursday. The AMERICAN AVOCET was last reported at the Oceanside Marine Nature Study Area last Sunday. 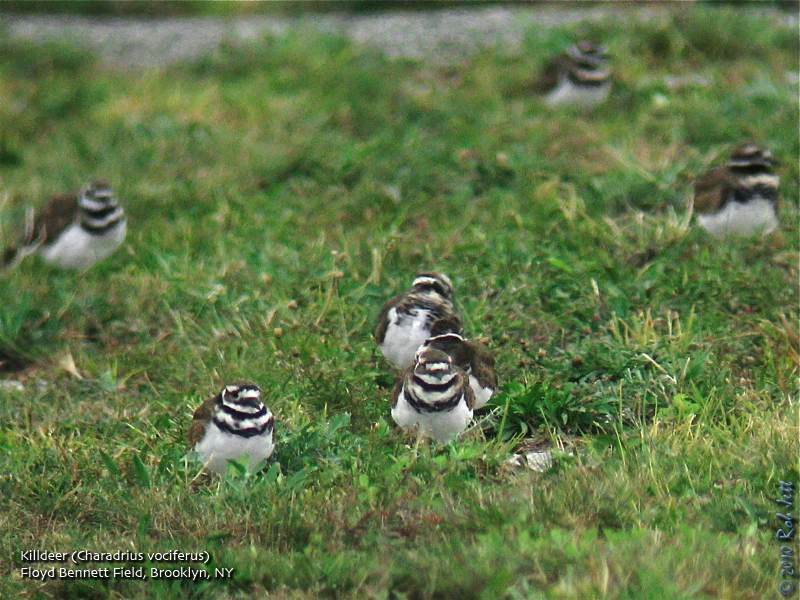 A WHIMBREL plus 3 BUFF-BREASTED SANDPIPERS were seen at the swale area of Jones Beach West End field 2 on Wednesday. Two MARBLED GODWITS were still present at Cupsogue County Park on Sunday and the number increased to 6 on Tuesday. BAIRD'S SANDPIPERS appeared in several spots last week: 2 at the East Pond at Jamaica Bay on Tuesday, 1 at Floyd Bennett Field at the cricket area along with 2 BUFF-BREASTED SANDPIPERS on Tuesday, 7 at the swale area at West End Jones Beach on Tuesday, apparently 5 birds were still at this locale on Thursday and another bird was still at the fire training facility at the Northville Turnpike west of Route 105 in Riverhead on Friday. Two BUFF-BREASTED SANDPIPERS were reported at Manorville in Suffolk County at Head of the Neck Road just north of Sunrise Highway and west of Route 51 on Wednesday. An additional bird appeared on Thursday and the 3 birds were still there today. 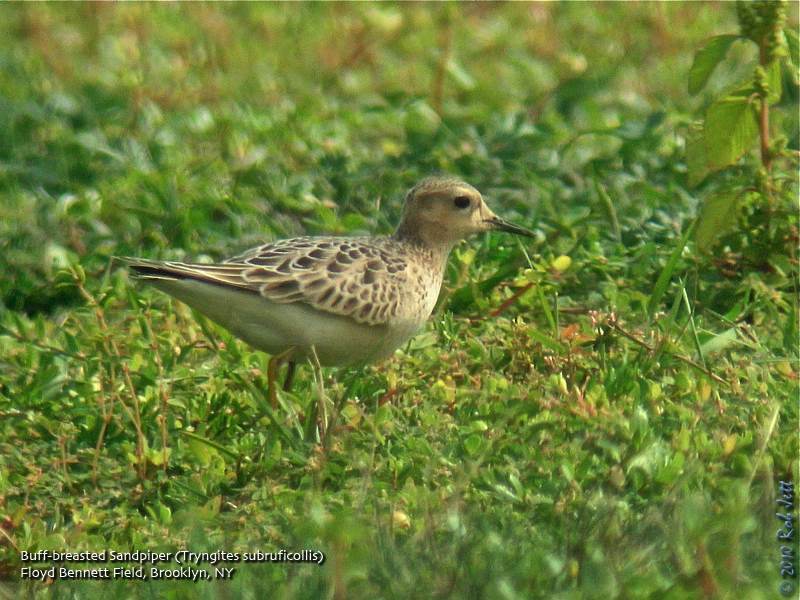 Another BUFF-BREASTED SANDPIPER was found on Sound Avenue and Osborne Avenue in Riverhead on Thursday. A single BUFF-BREASTED SANDPIPER was at the swale area at Jones Beach on Tuesday and Thursday. A WILSON'S PHALAROPE along with another 19 species of shorebirds reported from the East Pond and West Pond at Jamaica Bay on Thursday where high water levels at the East Pond have greatly reduced the numbers of birds previously reported. The previously reported GLAUCOUS GULL was still hanging around the ferry slip at Orient Point on Monday. Thirteen species of warbler were counted last Saturday at Prospect Park highlighted by BLACKBURNIAN WARBLER and CAPE MAY WARBLERS along with an impressive number of 42 VEERYS while 12 species of warblers were encountered in Central Park on the same day highlighted by TENNESSEE WARBLER and CAPE MAY WARBLERS. Nine species of warbler including CAPE MAY WARBLER plus PURPLE FINCH, 2 CLIFF SWALLOWS, 50 BANK SWALLOWS were reported from Fire Island on Sunday. Several correspondents have reported good numbers of COMMON NIGHTHAWK (S) through the week from Manhattan to eastern Long Island and also observers are reporting good numbers of RED-BREASTED NUTHATCHES through the week. Other interesting reports last week included 3 COMMON EIDER at Montauk last Saturday, an immature LITTLE BLUE HERON from the unusual locale of Alley Pond Park on Tuesday, a PARASITIC JAEGER at Jones Beach West End on Tuesday, 2 CASPIAN TERNS at Cupsogue County Park on Sunday, 2 CASPIAN TERNS at Fire Island on Sunday, 2 VESPER SPARROWS at Floyd Bennett Field on Thursday. To call in reports please call Tony Lauro at (631) 734-4126, messages may be left with Tom Burke at (212) 372-1483.